If you’ve been following our series (see Parts I and Part II to catch up), you now know when it’s time to hire an assistant and how to create the perfect job description for him or her. 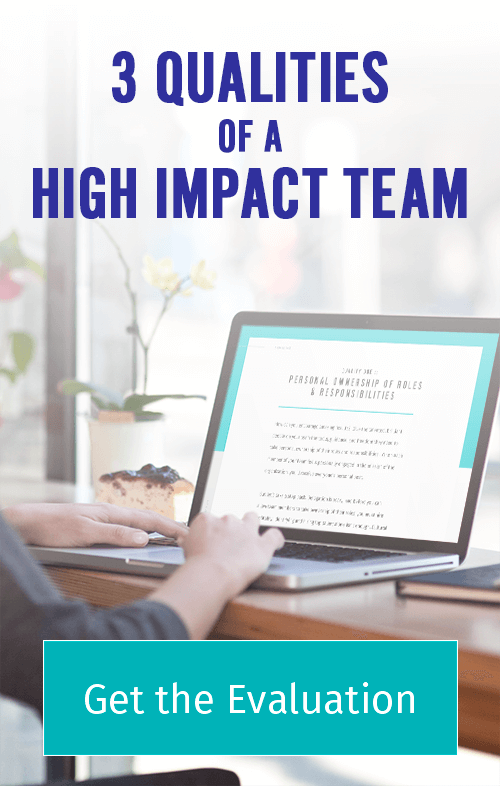 Now I want to share with you a system for making the best out of the amazing new team member you just hired. 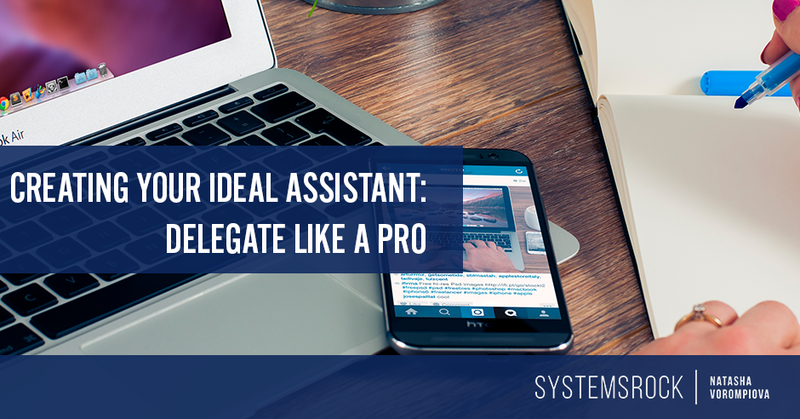 This step is really important because a lot of entrepreneurs have a major problem actually delegating projects. In fact, delegation used to be my own pain point. I’m a perfectionist who used to feel it was easier to do things by myself. If I asked someone else to take charge, I’d wind up having to re-do the project afterwards because I wasn’t satisfied with the results. When I worked for one of the Big Four auditing firms in Cyprus, I was frequently assigned assistants while I oversaw the migration of the client database from the old platform to the new one. None of the assistants worked out. NONE. One of the problems was that I didn’t have much say in choosing my assistant. More often than not, they were underqualified, unenthusiastic and uninterested in learning new things. If I went through a rigorous process of finding the right person—and followed the system discussed in the previous post—things would definitely have been different. Another major problem was that I refused to acknowledge that my perfectionism was getting in the way. Instead of concentrating on checking and filling in the most requested data for as many clients as possible, I chose to focus on taking one client at a time and making sure the entire history was reflected accurately. Undoubtedly, this was important—the new system allowed for the inclusion of more detailed information on our clients, but that info had to be recovered from the actual files. I could have taught someone where to look for the missing data and how to enter it, but the assistants had no real interest in the project and weren’t paying attention to details, so I was always finding many errors and spending a lot of time fixing them. In the end, it was easier and faster for me to do it myself, and I would refuse to delegate in order to not to waste my time. Looking back at that experience, I realize that the issue was not about the dangers of delegation, but rather about the right ways of doing it. Of course, it is essential to find the person who shares, or at least respects, your goals and does his work diligently. The person also has to know how to go about finding a solution to get the desired outcome. He might have skills in that particular area and not need much hand-holding or you might need to give him exact instructions on how to reach the goal. Let’s take the example of Sukie Baxter—a Certified Rolfer, Kettlebell Teacher and Posture and Movement Therapist—who runs her practice from both her Rolfing Studio and her home office in Seattle. Working with her intern, Sukie takes different approaches to delegate tasks depending on the level of her intern’s competence in certain areas. I couldn’t agree with Sukie more. Creating your own business manual is vital for any business, especially a small one. Of course, there are other approaches you can use. For example, Kaneisha Grayson from The Art of Applying (see Parts I and Part II of this series to learn more about her) outlines for her assistant the tasks that need to be completed. She lets her assistant figure out how to handle the assignments, looks at the completed drafts, and either approves them or requests changes. “I don’t know if my back-and-forths with my assistant mean that I am micromanaging,” Kaneisha admitted. 1. I document the process I want to delegate. I’ve got to say that I am an advocate of documenting your processes regardless whether you want to delegate them or not. I believe that you have to run your business in a way that would allow you to potentially delegate everything except for your genius. For projects that I know how to perform myself, I outline the procedure step-by-step as if I were explaining it to someone. I also give detailed instructions on how the final outcome should look like. For projects outside of my scope of competence I make references to the resources and give examples of how the final result could look like. I also specify the due dates and any other requirements, so that the person who is working with me is clear what steps to take and what are my expectations. 2. I share these instructions. I used to use Google Docs. It’s a great tool to record and share information about your procedures, because you don’t need to worry if your team members have the latest version. These days I use project management software Basecamp (you might also use Asana, Wrike or any other software you find helpful). Basecamp is a hub where my team and I discuss the projects as well as where I store information on my business processes. 3. When I am ready to delegate another chunk of my responsibilities, I simply refer my assistant to the relevant page and ask if she has any questions. I moderate my assistant’s work, but not very closely. More often than not I just thank her for the fabulous work she does! As you can see, there are many ways of working with an assistant. There is no right or wrong way of doing it as long as your system works for you.